There are few things more satisfying than having even a moment of emotional fulfillment. Fulfillment is about more than simply being able to quiet that raging storm of fear and need inside. It’s about having a burden lifted from you, one so constant that you might not even realize how much it weighs you down. It’s about providing a place where peace and happiness can take root and grow. It’s a tricky feeling to hold onto for long, because there’s always some new emotional storm brewing, but the more you practice finding that fulfillment, the easier it becomes to find it again. This sigil seeks to remind you that it’s possible. 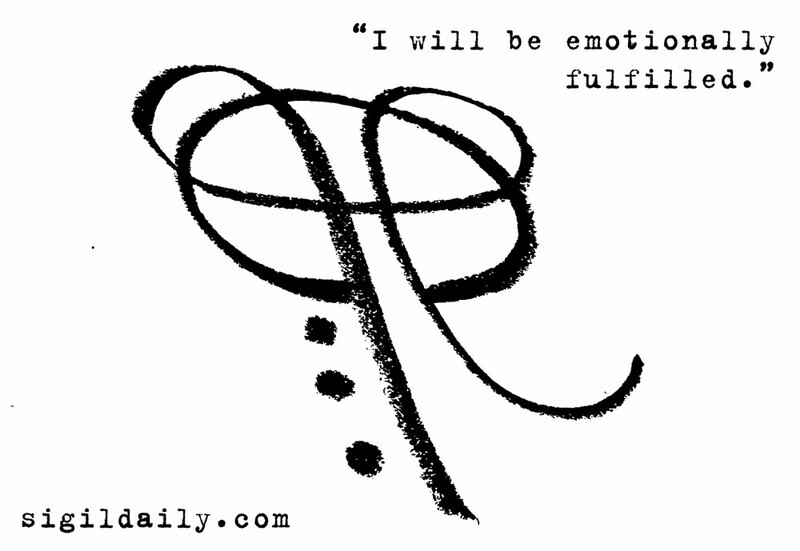 New Sigil: "I Will Become My Best Self"